Wednesday means it’s “What’s Cookin’” demonstration day. 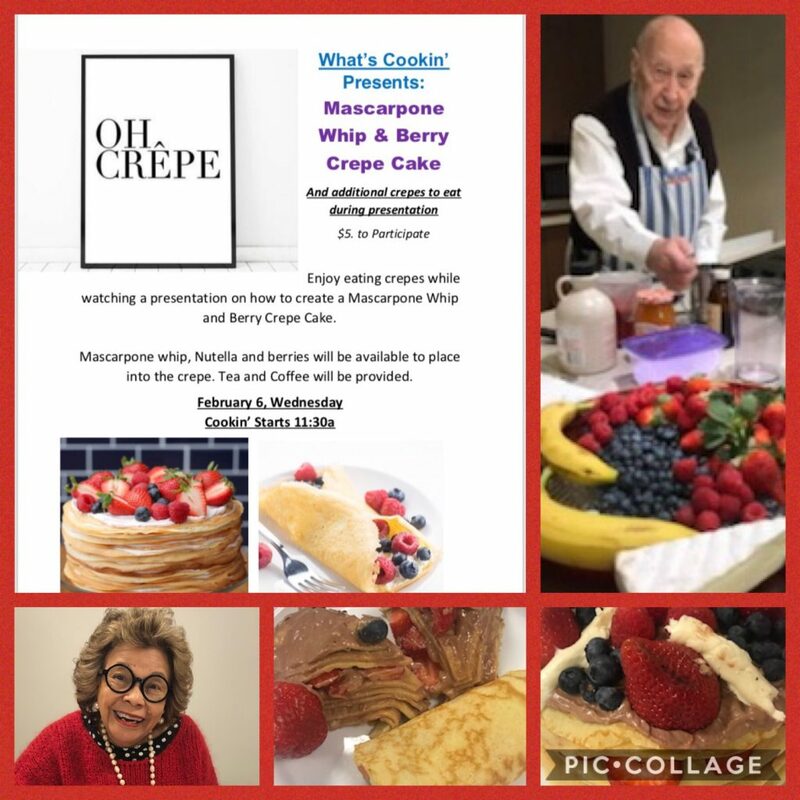 Today “OH CREPE!” Yes, they made crepes! Yummy…marscapone whip mixed with nutella created Marscapone Chocolate Hazelnut Whip and we added fresh fruit. Look how amazing these look!